Can you believe it’s already September? Fall will be here in another couple weeks so we are enjoying the warm weather while it’s still here. I’m a little late getting my first pumpkin recipe up. But, better late than never. 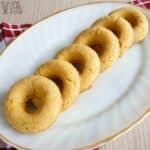 I’ve already seen some great new low carb pumpkin recipes getting posted. One of the pumpkin recipes I’ve been wanting to try is from Stacey at Beauty and The Foodie. 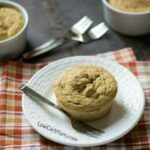 She has some terrific recipes that I’ve been wanting to try like this savory bacon pumpkin bacon mock souffle. I haven’t had a lot of time for baking. So, I figured I’d make a yummy coconut flour paleo pumpkin mug cake. It’s made in less than two minutes and tastes great! 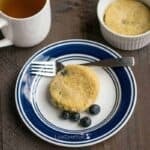 To make this mug cake paleo diet friendly, I used a liquid stevia extract as the sweetener. 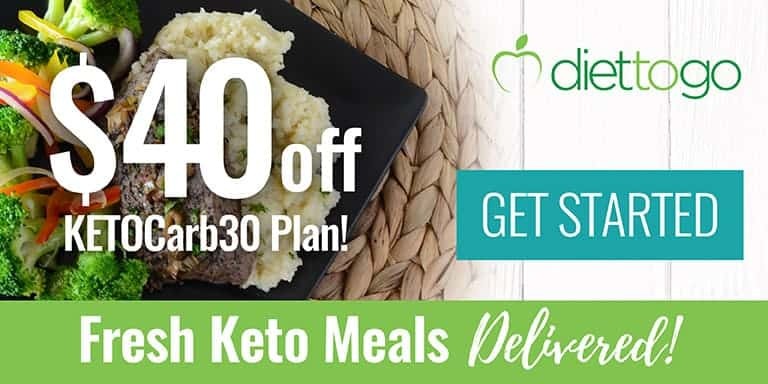 Stevia is pretty much the only low carb sweetener allowed on a paleo diet. There’s some debate as to whether some stevia concentrates are okay since they are processed. However, SweetLeaf processes stevia using pure cool water so I’d say the liquid drops are paleo. 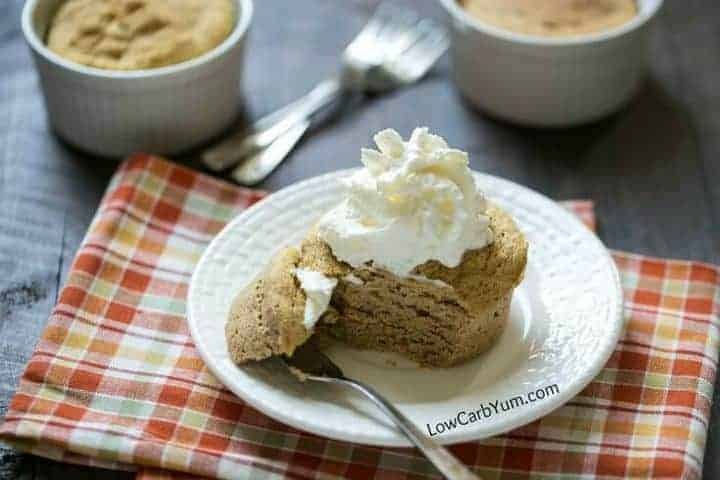 It’s so ridiculously easy to make this low carb coconut flour paleo pumpkin mug cake! 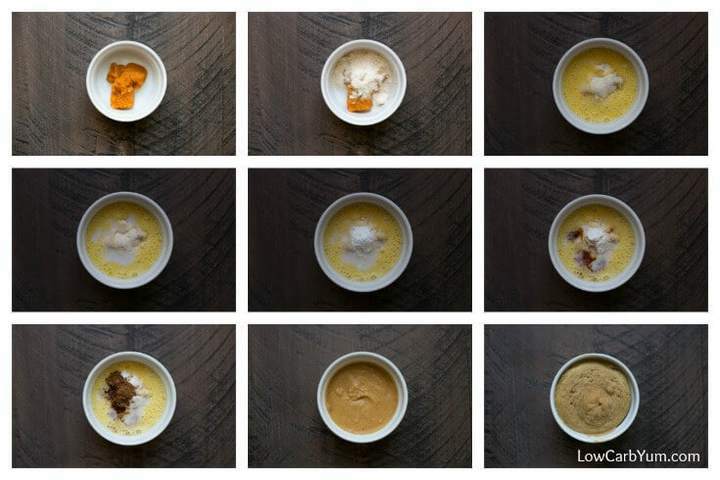 All you need to do is dump all the ingredients into a ramekin or mug. Then, cook it in the microwave for about a minute and a half. You’ll get a supersized muffin that big enough for two servings. And, it’s super filling with only 3.4g net carbs! So, you can save the other half for later. 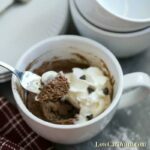 My friend Melissa over at I Breathe I’m Hungry has a huge variety of low carb mug cake recipes. 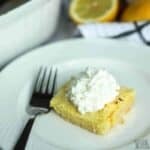 So, check out her site for some more quick and easy baking ideas. In fact, this coconut flour paleo pumpkin mug cake was inspired by this recipe over at Melissa’s blog. If you want to make this into a little mini cake, you’d just need to slice it in half to make two rounds. Then, stack them with frosting in between and on top. It would be easy to make a small portion of cream cheese frosting like the one used on these pumpkin spice bars. Hopefully, I’ll get a few more new pumpkin recipes posted over the next month. I’ve been working on a pumpkin fudge recipe so that one might be posted soon. 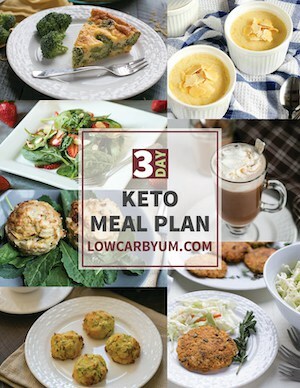 For some other great low carb pumpkin recipes, you can check out this recipe roundup. 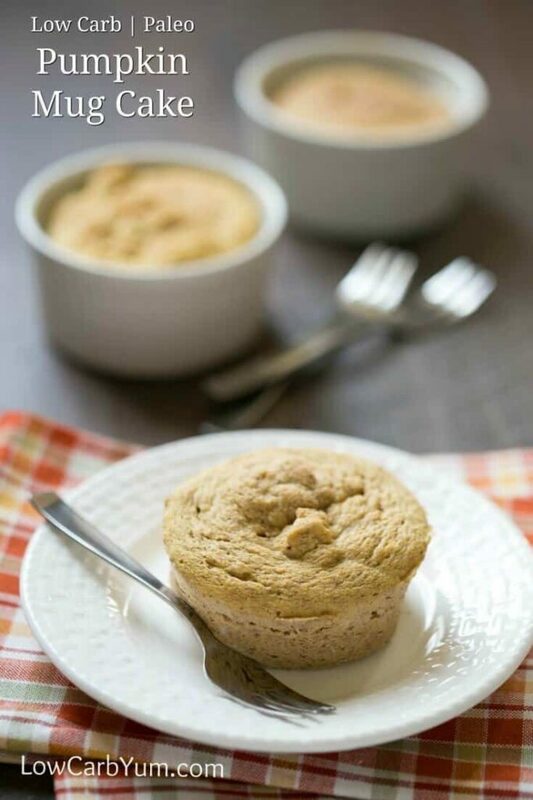 I’m really glad to have this coconut flour paleo pumpkin mug cake recipe in my file. As many of you know, I’d like to move to a more paleo diet. Giving up cheese is my biggest problem. I plan to experiment with nut based cheese and to see if it makes a good substitute. Thank goodness I don’t have a nut allergy! 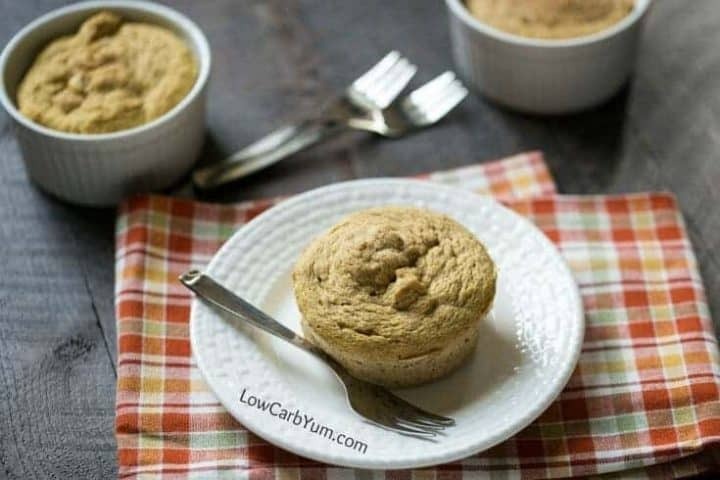 What’s your favorite low carb mug cake recipe? 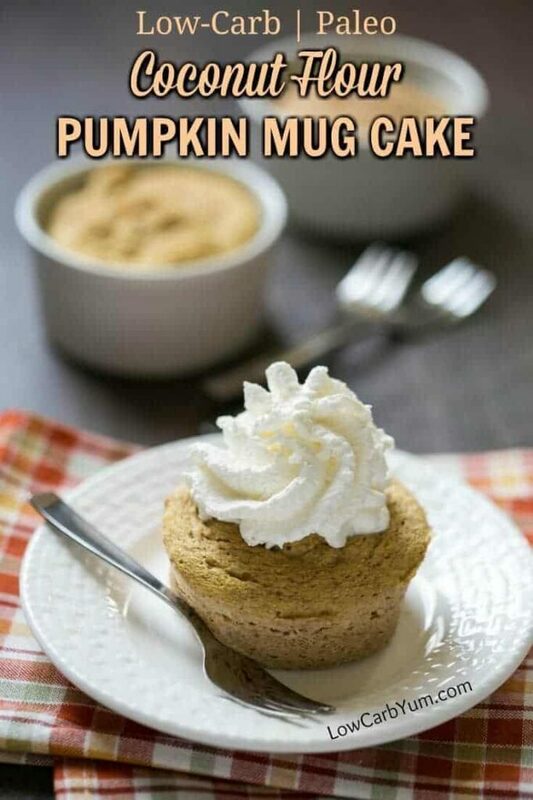 A yummy pumpkin coconut flour mug cake that whips up in less than 2 minutes. 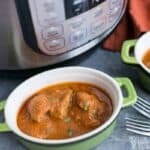 Just mix the ingredients together in a small cup and microwave! 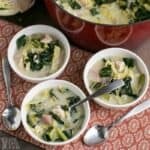 Place all ingredients into a coffee cup or ramekin and blend well with a fork. Microwave on HIGH about one and half minute or until toothpick placed in center comes out clean. Remove from container, if desired. 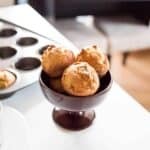 If the muffin comes out too dry for you, add in a little low carb milk like almond or coconut. 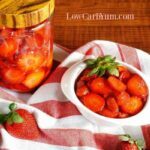 You can also add in some avocado oil or coconut oil. 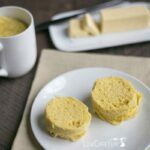 This make a large mug cake and is too much for one serving. It's best to only eat one half at a time. The entire mug cake has about 6.8g net carbs so half of it is only 3.4g net carbs (6.6g total which includes fiber). Feel free to slice this mug cake in half and add a cream cheese frosting. 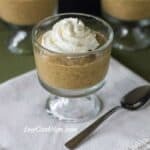 It would make a great little mini pumpkin spice cake!